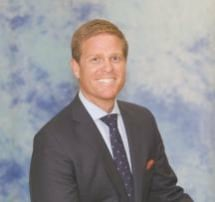 Steven C. Allender, a Florida native, is a partner with the law firm of Allender & Allender, where he focuses on the many practice areas associated with elder law. Specifically, Steven is committed to providing sound legal advice and counseling in probate administration, estate planning, Medicaid/Nursing home planning, guardianships and real estate transactions. Steven, a graduate of Stetson University and DePaul University College of Law, is admitted to practice law in the state of Florida and the United States District Court for the Middle District of Florida. Prior to joining Allender & Allender, Steven practiced in the areas of construction and commercial litigation and served as a law clerk to the Honorable Thomas D. Sawaya at Florida’s Fifth District Court of Appeal. He is a member of National Academy of Elder Law Attorneys; the Florida Bar; The Real Property, Probate and Trusts Section of the Florida Bar; and the Brevard County Bar Association. Like his father, Steven is dedicated to serving and giving back to the community. He is on the Board of Directors of the Boys & Girls Club of Central Florida, Brevard County Branch, the Board of Directors of Brevard County Legal Aid, the Brevard Symphony Youth Orchestra, Community Services Council of Brevard County, Inc, Retired Senior Volunteer Program ("RSVP"), North/Central Brevard Salvation Army, Pastoral Council of Most Precious Blood Catholic Church, and the Heaster Family Foundation. Steven is also a member of the Vassar B. Carlton American Inn of Court. At the law firm of Allender & Allender, our attorneys help individuals and families plan for the future. We take a hands-on approach to all legal matters, providing personalized service along with the understandable information you need to choose the best option for your situation.